Eldest brother and ruthless rancher Adam King would do anything to restore his family's estate--including enter a marriage of convenience. 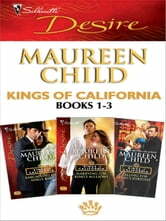 Millionaire Travis King only needs a temporary wife to stop his match-making client, but soon can't resist his bride. And airline tycoon Jackson Tycoon gets the shock of a lifetime when the beautiful stranger with whom he'd shared a mind-blowing tryst reveals he had fathered her baby daughter! 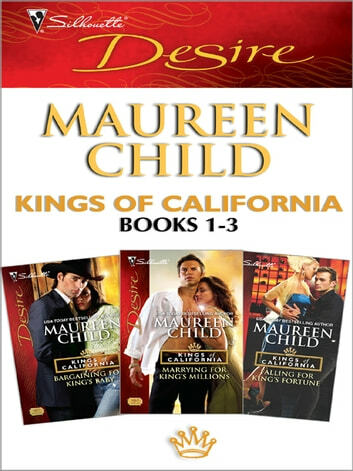 Meet these irresistible heroes--and the women who capture their hearts--in the first three books in USA TODAY bestselling author Maureen Child's Kings of California series: Bargaining for King's Baby, Marrying for King's Millions and Falling for King's Fortune.